The following maps will help you locate Industrial Toolcrafters, Inc. We are approximately 20 minutes from Interstate 90, which runs through LaCrosse, Wisconsin. 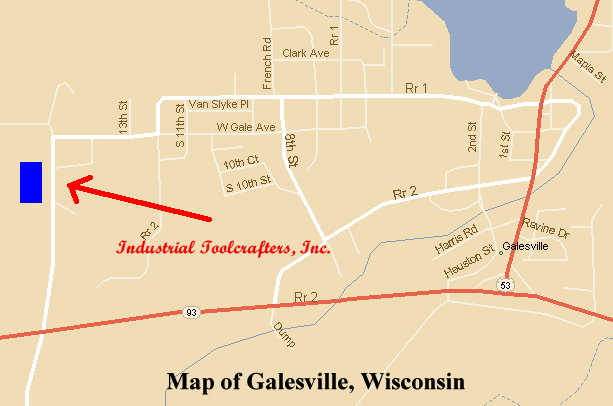 Highway 53 goes directly through Galesville. 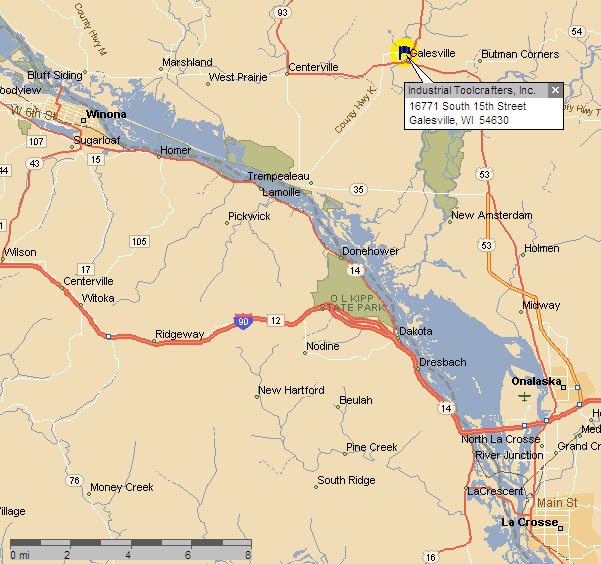 The second map shows a close-up view of Galesville and our specific location. If you would like more specific directions, please feel free to Contact Us and we will be more than happy to provide them.